There's a certain section of road in the East Midlands that's quite unique in that its name is able held in deep affection by two rival cities. That road is the A52, or at least the stretch between Derby and Nottingham and which goes under the moniker of Brian Clough Way and which is also very familiar with our delivery drivers. Now for a very brief history lesson; Brian Clough was a football manager who oversaw Derby County between 1967 and 1973. When he arrived they had been rooted in the old Second Division for a decade but by the time he left (to go to Brighton & Hove Albion) they were back in the top flight having won the league title in 1971-72. After his spell at Brighton and then Leeds, Clough was back in the East Midlands early in 1975 at Nottingham Forest. He announced his retirement at the end of the 1992-93 season having steered Forest to, well, pretty much every trophy you can think of including back to back European Cup’s. 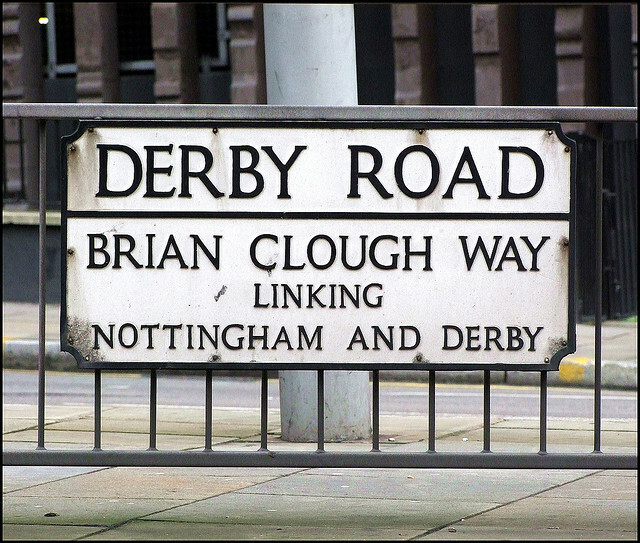 As for Brian Clough Way, it stretches 12.5-miles between Pentagon Island, in Derby, and Queen's Medical Centre, Nottingham, and as already mentioned our delivery drivers regularly make the journey along it to drop bottled water and fruit boxes off to business in the two cities (along with the whole of Yorkshire and Lincolnshire). Our water comes from Wenlock Spring close to Wenlock Edge, in Shropshire, which is a geologically famous limestone escarpment created 400 million years ago. It’s 15-miles long and stretches between Much Wenlock and Craven Arms. Wenlock Edge consists of silurian limestone which was originally formed in a shallow, warm, clear, subtropical sea, similar to parts of the Caribbean today and was south of the equator. All our fruit comes fresh from Hull’s historic fruit market the morning it is delivered, and each box contains apples, bananas, pears, clementines, plums, grapes and seasonal fruit. If you’d like to know how we can help your business stay healthy, call us free on 0800 061 2193.